I’m taking the Labor Day holiday off today and posting a quick picture. The NFL teams have finalized their rosters and are down to the 53 man maximum which reminded me of a picture from a couple of years ago. 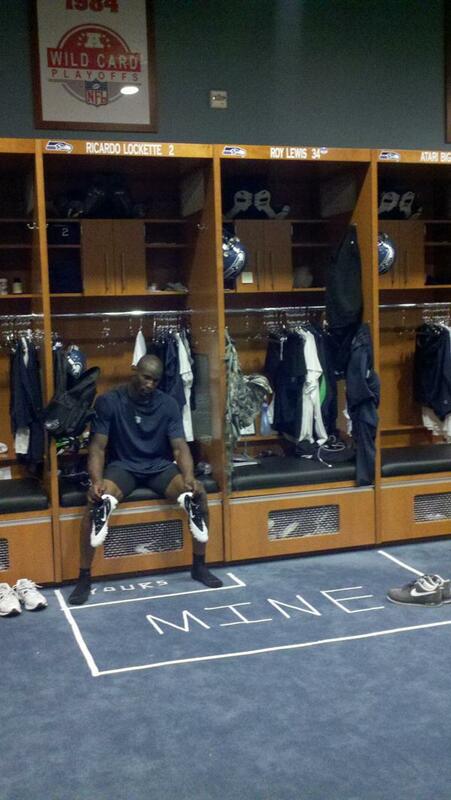 It’s a rooking sitting at his locker which is next to a veteran’s locker. Enjoy.